For some people, vitamins play an important part in their health. Folic acid taken during pregnancy can reduce the risk of birth defects, while vitamin D can promote bone health in someone with a vitamin D deficiency. In Australia, the Therapeutic Goods Administration (TGA) regulates all vitamins for safety and quality. But like any medicine, vitamins can have side effects or interact in unwanted ways with other medicines. Vitamins should only be used as directed on the label, and you should consult a health professional if you experience any health issues while taking a vitamin. In this article, we will explain how we regulate vitamins, and how the AUST number on the product label tells you what kind of scrutiny a vitamin has received. The TGA is responsible for regulating medicines and other therapeutic goods in Australia. We assess higher risk medicines for safety, quality and efficacy before they can be legally supplied in Australia. Efficacy refers to whether a product does what it says it is going to do. We regulate the safety and quality of lower risk medicines by limiting these medicines to pre-approved low-risk ingredients and pre-approved low-risk or minor health conditions, and by requiring quality manufacturing. The commercial sponsor of the medicine is also required to hold evidence that their product works, and they must provide this evidence to the TGA if we conduct a formal compliance review of the product. The TGA's approach reduces the cost of approving low-risk medicines. If we reviewed all low-risk products for efficacy before they were permitted on the market, the additional costs would be passed on to consumers. Depending on the vitamin and the dose, vitamins are regulated either as prescription medicines or complementary medicines. Most vitamins fall into the category of low-risk complementary medicines, which means that the TGA regulates their safety and quality only. The product must only contain ingredients from a pre-approved list that the TGA has already assessed for safety and quality. The commercial sponsor of the product must choose from a pre-approved list of uses, and these uses can only relate to minor health problems. Products are prohibited from making claims about serious and life-threatening conditions. The product must be manufactured in a certified facility that meets quality standards. The sponsor of the product must hold evidence that their product does what they say it does. For low-risk medicines, the TGA does not evaluate the commercial sponsor's evidence of product efficacy before the product goes on the market, nor do we examine the final product and its label. However, we may review any product as part of our targeted and random surveillance of products on the market. Every year we review several hundred products in this manner. If a TGA review finds that a sponsor does not hold sufficient evidence of their product's efficacy, we can, and do, cancel their approval to supply the product in Australia. Other forms of non-compliance, such as inappropriate or inaccurate labels, can also lead to cancellation. We regularly publish lists of cancelled products on the TGA website. All medicines that are approved for supply by the TGA include either an AUST R number or an AUST L number on their label. AUST R numbers are for registered medicines that the TGA has evaluated for safety, quality and efficacy. AUST L numbers are for low-risk listed medicines, such as most vitamin products, that the TGA regulates for safety and quality only. Medicines that do not display these numbers may not be approved for sale in Australia. This is especially a concern for products sold online, which may contain unlisted, potentially dangerous ingredients. Taking vitamins comes with many of the same considerations as other medicines. Always read the label of a vitamin product and follow the instructions for use. 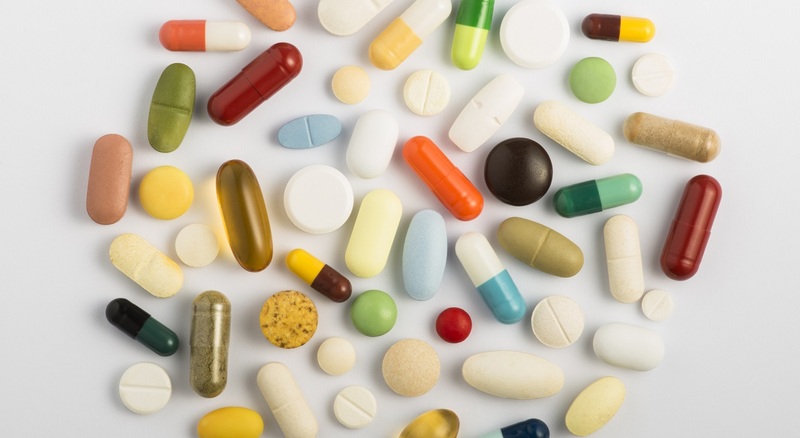 Some vitamins and other complementary medicines may interact with other medicines or other supplements and may have side effects of their own. So when you are asked what medicines you are taking by your doctor or pharmacist (e.g. before surgery), remember to include vitamins and other complementary medicines on the list. Everyone can play an important role in monitoring the advertising and safety of medicines in Australia. If you see a product or advertisement that appears to be making misleading claims, you should report it to the TGA. If you experience an unexpected side effect when taking a medicine, you should seek advice from a health professional as soon as possible and also report the event to the TGA.